This article is part of a series on graduates of Spring Convocation 2017. Read more grad profiles or, to learn more about the ceremonies, visit the Convocation website. By the time she was six years old, Cinera States knew what she wanted to be when she grew up: a doctor. “My mom took me to see a pediatrician, Dr. Sharon Burey, in our hometown of Windsor, Ontario,” recalls Cinera, who graduates from Dalhousie with her medical degree this week, along with five classmates who share her African heritage — the largest-ever group of medical students of African descent to graduate from Dalhousie in the same year. Cinera’s mother is from North Preston and her father is from Windsor, N.S., so family connections drew her back east to pursue her dream at Dalhousie. During her undergrad — a double major in Biology and Psychology — Cinera volunteered with Dal’s Imhotep's Legacy Academy, a university-community partnership for African-descended youth to become involved in science, technology, engineering and math. Her entire family is returning to Nova Scotia to see Cinera receive her medical degree. Her mother, Cindy Simmonds, is particularly overjoyed — not only because she is tremendously proud of her daughter, but because this time last year, the family was not certain she would be alive to see this day. Cinera and the five other medical students of African descent graduating with her today have been helped along the way by PLANS (Promoting Leadership in Health for African Nova Scotians). Launched in 2013-14 with two years of initial funding from Nova Scotia’s Department of Labour and Advanced Education and Department of Education, PLANS provides ongoing support to African Nova Scotian/Canadian students in the faculties of Medicine, Dentistry and Health Professions. 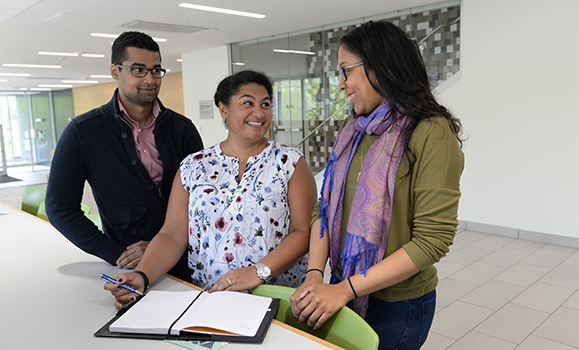 Based in the university’s Global Health Office, PLANS is run by an advisory committee and program manager, in consultation with African Nova Scotian communities across the province. “We help students gain entry to health professional programs—by assisting them with their applications and making them aware of potential sources of financial support—and advise and advocate for them on their way through their programs,” says PLANS program manager, Michelle Patrick, who works closely with advisory committee members Dr. David Haase (Medicine), Dr. Barbara Hamilton-Hinch (Health Professions) and Shawna O’Hearn (Global Health). For Cinera, PLANS provided much-needed moral support as she struggled with doubt during her mother’s illness. Dal Medicine graduate Stefan Allen. 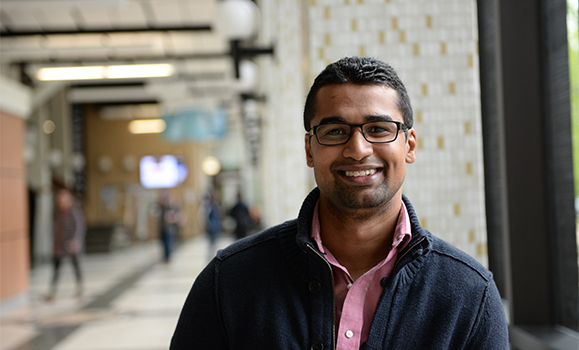 For fellow medical graduate, Stefan Allen, PLANS was also an important source of support. Overcoming doubts and obstacles has been a consistent theme for Stefan as well. While PLANS works behind the scenes with current students in health professional programs, its most visible program is the African Nova Scotian Health Science Summer Camp. Designed to interest young African Nova Scotians in the possibilities of health science careers, the camp started at Dalhousie in 2014, with 15 junior and senior high school participants. This year, PLANS camps will run at Dalhousie, Cape Breton University and St. Francis Xavier University, with 70 or more campers expected to attend. This year, for the first time, PLANS is also offering the PLANS Prep Institute, to help students develop the practical academic skills they will need to succeed in their final years of high school and pursue university programs in the health sciences. Stefan (left) and Cinera (right) with PLANS Program Manager Michelle Patrick. While government funding helped get PLANS on its feet and running, the program is now moving forward with help from the U.S.-based Johnson Scholarship Foundation, which seeks to educate, empower and employ people from disadvantaged backgrounds. 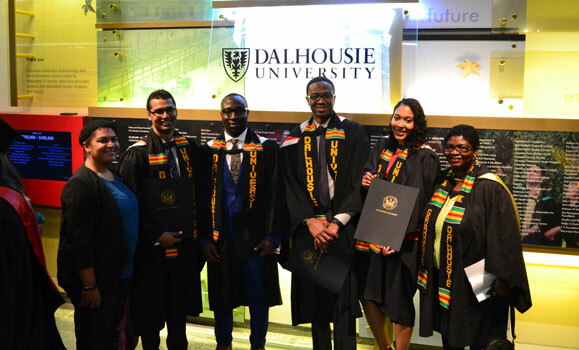 The foundation has provided $1 million over five years to Dalhousie initiatives aimed at attracting and retaining African-descended and Indigenous students into health professional programs. In turn, Dalhousie is matching these funds with donor gifts to the tune of $200,000 per year. Stefan Allen and Cinera States both cite childhood experiences with excellent doctors as their inspiration to pursue careers in medicine. 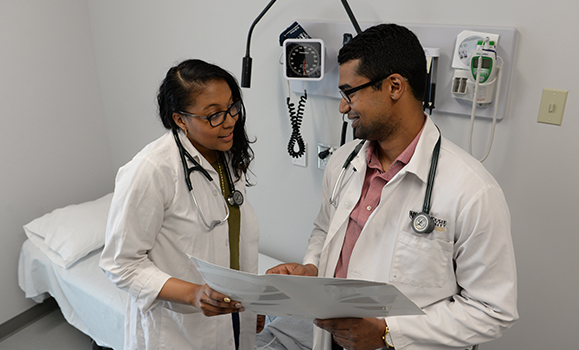 So does Martina De Sousa, another African Nova Scotian medical graduate, who overcame numerous rejections before finally being accepted into — and excelling at — medical school. Immediately in line behind this year’s six African-descended medical graduates is another cadre of six.